The aim of this category was to maximise opportunities for Cantabrians to continue to participate in sport and recreation activities. The Trustees focussed on youth participation. The Trust worked with the Sport Leadership Group (comprising Sport Canterbury, Christchurch City Council and Sport NZ) to identify priorities in this sector. Jox Blue Blades Rowing Society Inc.
North Canterbury Rugby League Club Inc.
Opawa Lawn tennis Club Inc.
Sumner Surf Life Saving Club Inc.
$5,400 to replace softball nets which were lost through the earthquakes. This fund was contributed by the Vodafone Foundation Canterbury Fund. For a full list of the Vodafone Foundation funded projects click here. $10,000 funding for replacement sports equipment lost in the earthquakes. This fund was contributed by the Vodafone Foundation Canterbury Fund. For a full list of the Vodafone Foundation funded projects click here. $145,600 to repair bowling greens at 14 clubs in the city and enable 1200 members to start playing again in the 2012/13 season. The 14 clubs are Beckenham, Bowls Papanui, Bowls Woolston, Canterbury, Cashmere, Dallington, Edgeware, Elmwood, Parklands, South Brighton, Spreydon, Sumner, Tai Tapu and Woolston Park. $1 million towards construction of a third hockey turf at Nunweek Park to, in part address the loss of damaged community facilities at Porritt Park. This will provide Canterbury’s 4000 hockey players with an additional turf to practice and play on, relieving the demand for turf space at all levels of the sport. $25,000 to fund a floating jetty to enable ease of access to the water because the usual lake site is no longer suitable as a result of the earthquakes. This fund was contributed by the Vodafone Foundation Canterbury Fund. For a full list of the Vodafone Foundation funded projects click here. $9,588 to provide the club with funds to replace a waka that was destroyed in the earthquakes and additional safety equipment required, as a result of having to move from the river to the open sea. This fund was contributed by the Vodafone Foundation Canterbury Fund. For a full list of the Vodafone Foundation funded projects click here. $576,000 to build two boat storage sheds, a communal toilet facility and a security fence at Kerr’s Reach, and one boat shed at Stewarts Gully. Boats and rowing equipment can then be easily accessed by rowers of all ages, particularly benefitting school-aged rowers. $30,000 funding towards the rebuild - and in some cases new build - of 6 pump tracks across Christchurch (after the loss of biking tracks), allowing young people to get outside and ride bikes in a safe and fun environment. This fund was contributed by the Vodafone Foundation Canterbury Fund. For a full list of the Vodafone Foundation funded projects click here. Up to $214,165 to fix ground drainage at Garrick Park for Cashmere Technical Football Club's 1,300 registered players in time for the 2014 season start. SKY Television is contributing to this project, as well as the Barmy Army who held a cricket fundraising event in Wellington on March 16 2013. $21,930 to fund ground repairs (funding would assist greatly in ensuring members can continue to participate in quality rugby activities on a regular basis at their grounds). This fund was contributed by the Vodafone Foundation Canterbury Fund. For a full list of the Vodafone Foundation funded projects click here. Coastguard Waimakariri-Ashley will receive the final $314,000 it needs to construct new $1.1 million premises on the Kaiapoi River that were damaged beyond repair in the September 2010 earthquake. This was announced in December 2012 as part of a $364,000 grant to marine search and rescue facilities damaged in the earthquakes that serve most of Canterbury’s coastline from Kaikoura to Timaru and along the Waimakariri River. $12,000 to fund youth camps, where at least 50% come from the most quake impacted suburbs in East Christchurch. This fund was contributed by the Vodafone Foundation Canterbury Fund. For a full list of the Vodafone Foundation funded projects click here. The repair of Sydenham Park and Elmwood Park has meant that close to 1000 junior and 400 adult cricketers have been able to practise and play cricket every week. The repair of Garrick Park will not only enable 200 adult and junior cricketers to play and practice but combined with assistance from the Woolston Club will enable hundreds of junior and adult footballers to practice and play on the ground. The repair of St James Park will enable another ground to host junior and adult cricket helping to ease the strain and replace some grounds that are still unplayable due to the earthquakes. The repairs to the Heathcote Cricket Club will address the damage to the pavilion, training nets and roller shed from the February earthquake. 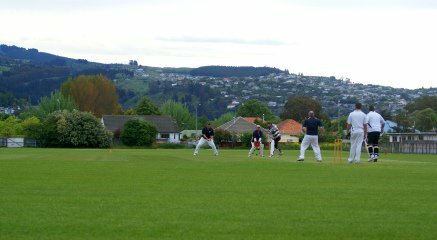 The Heathcote Cricket Club is home to seven adult teams and over 90 junior players. The facility is also utilised by football, touch rugby, table tennis, bowls, after school programmes and community meetings. The Canterbury Cricket Association has received $233,095 funding to complete this project. $7,544 to fund the purchase of a new pool table, kayaks and life jackets for the youth centre (following the quakes, demand for youth activities has increased). This fund was contributed by the Vodafone Foundation Canterbury Fund. For a full list of the Vodafone Foundation funded projects click here. $200,000 to repair the Cure Boating Club’s building on the Kaiapoi River that was particularly damaged in the September 2010 earthquake. New Zealand Community Trust is kindly contributing to this project. $2,500 to finance the purchase and installation of roller blinds in the Recliffs Mt Pleasant Bowling Club Hall to enable users, and in particular the Ferrymead Sumner Mens Probus Club to view the visuals used by guest speakers. Club had to move premises following quakes. This fund was contributed by the Vodafone Foundation Canterbury Fund. For a full list of the Vodafone Foundation funded projects click here. Up to $260,000 towards new football facilities in the eastern suburbs. Due to the closure of Bexley Park, this funding will provide new goalposts, floodlights and temporary changing rooms at Linfield Park. This funding includes $110,000 donated by The Southern Trust. $100,000 to the Gymnastics Centre to strengthen and repair the older gymnasium to 62% of the NZ Building Standard, providing competitive gymnasts with a training and competition-grade venue for at least two years while decisions are made on a permanent location. NZ Community Trust is contributing to this project. $10,500 for the purchase of a Coach/Safety Boat for the St Thomas of Canterbury College Rowing squad, due to the loss of amenities and access to a borrowed boat following the Christchurch Earthquakes. This fund was contributed by the Vodafone Foundation Canterbury Fund. For a full list of the Vodafone Foundation funded projects click here. The Waimakariri District Council is the recipient of a $1.1 million grant announced by the Prime Minister in June this year, on behalf of the Christchurch Earthquake Appeal Trust. The grant will help repairs on the Kaiapoi Aquatic centre. The rebuild began on the 3rd of September and is scheduled to be completed by the end of June, 2013. This will be welcome news to the 120,000 local residents who used the Centre’s 25 metre pool and learners’ pool annually until it was closed by the 22 February 2011 earthquakes. In the mean time, the Kaiapoi Temporary Pool is located at Kaiapoi Park on Smith Street. The Kaiapoi Temporary Pool will be open in Term 4 2012 and Term 1 2013 for preschool and school swimming lessons. For more information, visit the Waimakariri District Council website. 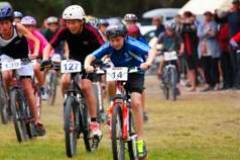 $28,860 to fund the rebuild of the Kaiapoi BMX track. This fund was contributed by the Vodafone Foundation Canterbury Fund. For a full list of the Vodafone Foundation funded projects click here. $4,550 to fund rental of new clubrooms for 12 months after having to move premises following the Canterbury earthquakes. This fund was contributed by the Vodafone Foundation Canterbury Fund. For a full list of the Vodafone Foundation funded projects click here. $400,000 towards a replacement coastguard facility in Lyttelton. $34,000 to restore the Lyttelton Tennis Club clubrooms. This fund was contributed by the Vodafone Foundation Canterbury Fund. For a full list of the Vodafone Foundation funded projects click here. Up to $143,500 for flood lighting the number two football field at Avonhead Park to support player development and matches amongst Mainland Football's 10,500 registered players. NZ Community Trust is contributing to this project.